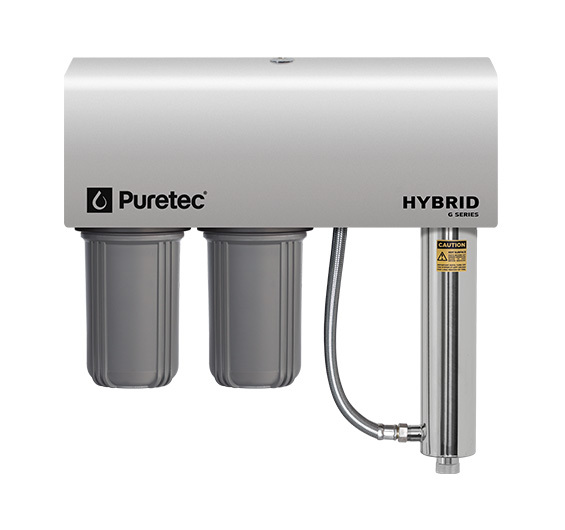 Puretec Hybrid-G6 provide safe and purified water at every tap. 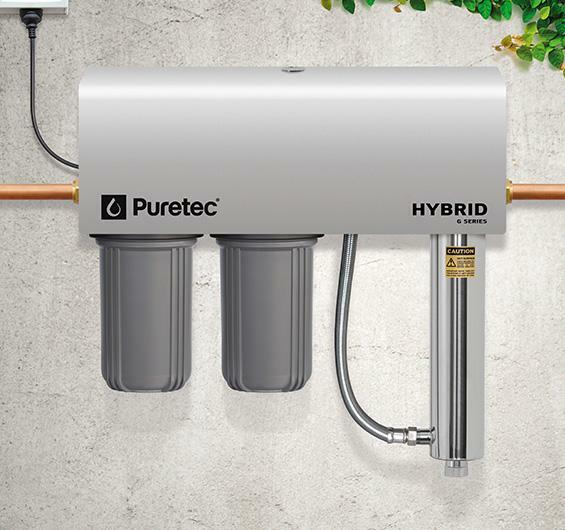 Designed for both mains and rainwater supply, this filter system is highly effective in eliminating 99.99% bacteria and parasites in your water. • Kills 99% of E. Coli, Giardia and Cryptosporidium cysts Radfire ultraviolet technology, a natural purification process that's completely eco-friendly and chemical-free. • Dual filtration for extra sediment capacity. • High Strength Light-weight Aluminium bracket with Architectural Grade PVDF electro coating. • Fast plug & play installation. • Designed for harsh climate. • Quick and easy plug-and-play installation. • Equipped with a lamp count-down timer and alarm. • Anti-tamper & childproof lockable lid. • Hinged lid for easy access for lamp change. Important Note: Use only genuine Puretec replacement cartridges. ^3 Year Platinum Protection applies to Puretec Systems when used in conjunction with a Puretec filter cartridge. Warranty excludes cartridges.